Telemarketing scammers are clever and come up with new tricks all the time. These scammers prey on any person who answers the telephone, including baby boomers, millennials, and anyone in between. They also target people who may have responded to these types of scams in the past. If you've fallen for one scam, you'll likely end up on a “sucker list,” a victim database shared among scam artists for scoping out their next scores. A robocall is a phone call that's made to your cell phone or landline via automated dialing and is an inexpensive way for businesses to reach a target population. Although they may be annoying, some robocalls are legit, including appointment reminders and debt collection calls. 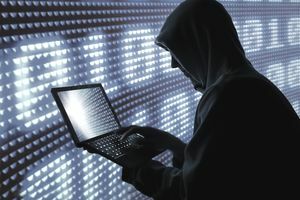 But others, such as calls about unbelievably low interest rates, unspecified "important business concerns," free vacations or "card services," for example, are almost certainly scams that are aimed point-blank at your wallet. If you answer a call from an unknown number and hear a voice say, "Can you hear me?" hang up immediately. Definitely, don't say yes. If you do, your answer could be recorded and the recording could then be used in an attempt to confirm your approval of charges to your credit card or other accounts. International lotteries are also popular with scammers, who call and try to sell you foreign lottery tickets. The scammer may tell you that you'll have to pay $10 to $100 a week to play but gives you a "sure bet" winning lottery opportunity. Often the scammer gives out small sums or "winnings" to keep you interested, but the amounts don't approach what you've spent. With this scam, you're invited to earn money by serving as a payment processor. When you sign up, you get checks, cash, and transfers from all over the country to wire overseas. You can take 10 percent for yourself, but in reality, the money is coming from elderly victims, and you're sending it to scammers. You're essentially a money mule or middleman for the scammer without realizing it. This scam involves a young caller phoning an older person and claiming to be their grandchild who's in need of assistance. The child begs the grandparent not to tell the parents and asks for money because he or she was arrested, in a car accident, or in some other type of trouble. The requested loan is usually a few hundred dollars but may be much more. The scammer usually gets information about the grandchild through social media so it sounds legitimate. With this scam, a caller tells you that you've qualified for a government grant and then asks you questions regarding possible tax delinquencies or felony convictions. When you say you've never been convicted or delinquent, the scammer asks for your banking information so they can deposit the grant money into your account. Of course, the money never shows up, and the scammer may withdraw hundreds of dollars or more before you realize there's a problem. A sweetheart scam occurs when you're contacted by someone through a dating or social networking site. Over time, they attempt to ply you with romantic calls and messages. And when they think you're falling for their spiel, they tell you they're in trouble and need money, betting that their new "love" will fork over the cash. This scam preys on people who are trying to get a loan but have poor credit or no credit. When you call to apply for the loan, the person who answers the call says you'll receive the money after you pay a fee that covers a security deposit and processing. The idea is that you pay the fee but never get the loan. The caller tells you they're selling insurance to protect you from identity theft or credit card fraud. If you don't take the bait, they'll try to scare you into buying by telling you that otherwise, you could be liable for thousands of dollars of unauthorized debt. The secret shopper scam is another one that you might easily fall for. You're typically asked if you'd like to be paid to be a secret shopper or someone who does business with a company and then evaluates the experience. If you agree, you'll receive instructions on how to assess a wire transfer system, such as Western Union's, as well as a check that may be payable for thousands of dollars. You're then asked to immediately deposit the check into your bank account and then wire 90 percent of the funds to someone in another country. Several days later, your banker tells you the check was fake and you're responsible for paying back the money, along with any associated fees and penalties. Guard against being victimized by simply not answering your phone if the number displayed on caller ID is unfamiliar to you—and that includes calls from local or "spoof" numbers, which you're more likely to answer. If you do answer a suspicious-sounding call, hang up. Above all, don't give out any personal, banking, or credit card information, press anything on your keypad or call any phone numbers that may be provided. Additional steps you can take to safeguard yourself and your identity include asking your phone company how they can help you to prevent unwanted calls, entering your phone number on the Do Not Call registry, and reporting telemarketing scams to the Federal Trade Commission.